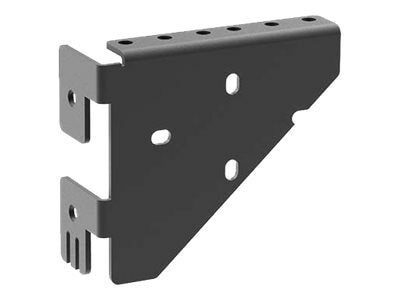 The Rear Horizontal Mounting Bracket for Swing-Out Wall Mount Cabinets can add up to an additional 2RU of 19" mounting at the rear of the cabinet panel. This kit conforms equipment to mount vertically to the rear panel in the cabinet. This is perfect for PDUs or small equipment.